The latest results for the Memphis Fencers! 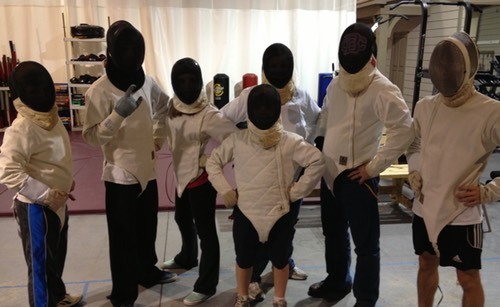 Latest Fencing Tournament Results within 300 miles of Memphis! 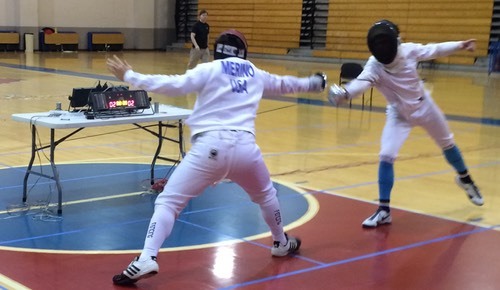 Upcoming Fencing Tournaments within 500 miles of Memphis! MEMPHIS FENCERS ACHIEVE ON NAT LEVEL in 2016! 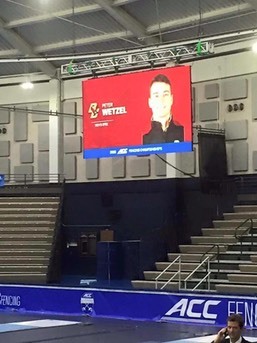 Memphis Fencers/Boston College Fencer Peter Wetzel qualifies for 2016 NCAA Fencing Championships! 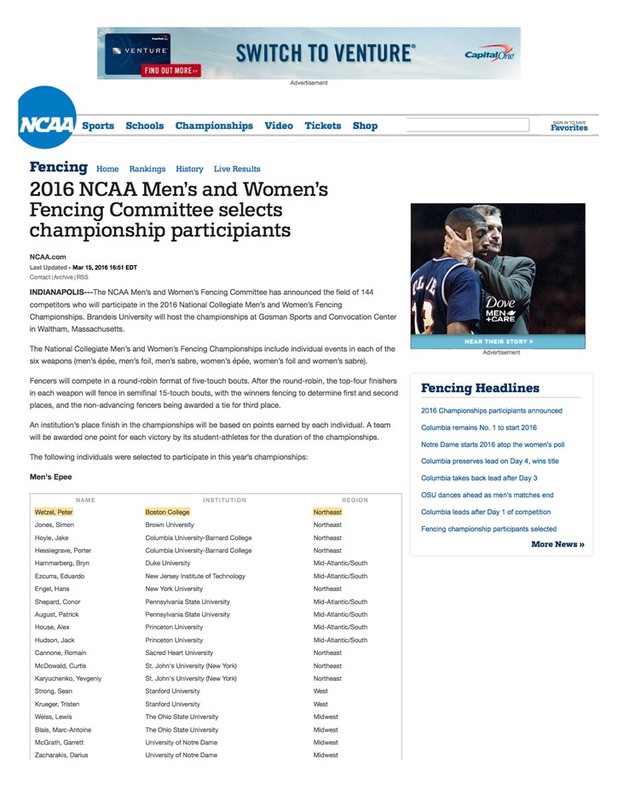 Peter Wetzel sits atop the list of qualified fencers for Men’s Epee at the 2016 NCAA Fencing Championships. Fencers will compete in a round-robin format of five-touch bouts. After the round-robin, the top-four finishers in each weapon will fence in semifinal 15-touch bouts, with the winners fencing to determine first and second places, and the non-advancing fencers being awarded a tie for third place. Sometime during March 24 - 26, a live feed of the semi-final and final bouts will be available on ESPN3 or the WatchESPN App. 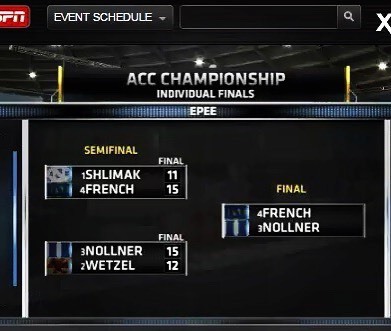 The semi-finals and finals, along with other championships highlights will air on ESPNU at 2:30 p.m. Eastern time on April 6. 3/13/16: Memphis Fencers alum and Boston College Fencing Team Captain Peter Wetzel (right) - faces down a fencer in competes in the final pool of 12 during the Northeast Regionals the NCAA Fencing Championship qualifiers at Vassar College. 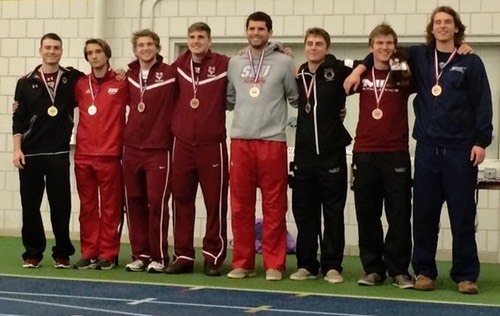 3/13/16: Memphis Fencers alum and Boston College Fencing Team Captain Peter Wetzel (leftt) - wins 5-3 in competition of the final pool of 12 during the Northeast Regionals the NCAA Fencing Championship qualifiers at Vassar College. 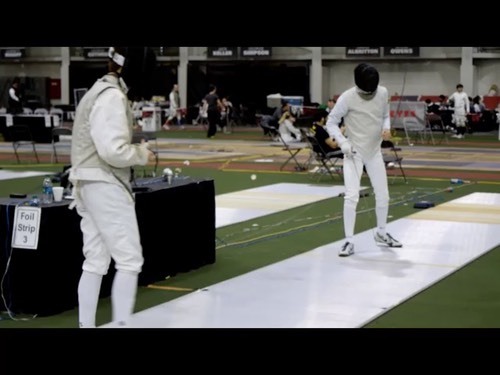 Memphis Fencers alum and Indiana University Fencing Team Captain Jake Doan (left) - faces a Michigan State fencer (left) in Team Foil bouting during the 2016 MFC (Midwest Fencing Conference) Championships. This bout and the one below show this plucky lefty foilist getting the better of his opponents. Capt Doan goes on to place 5th in Individual Foil and led the Indiana U Foil Team to 3rd Place! Click below to watch a few moments of him in action! Congratulations, Capt Jake! 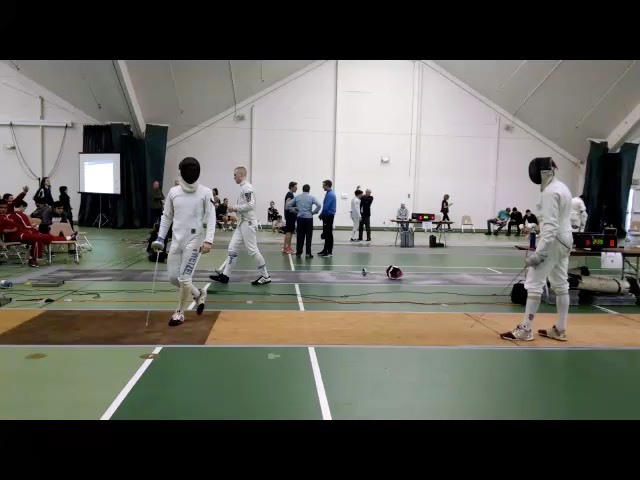 Memphis Fencers alum and Boston College Fencing Team Captain Peter Wetzel (right) - faces a Notre Dame fencer (left) in the final Team Epee bout between the two schools during the 2016 ACC Fencing Championships. On Sunday, Feb 28, his last bout was streamed live on ESPN3, giving him the honor of fencing onscreen during a nationally broadcast video. Click below to watch a few moments of him in action - and watch him get the final touch! Congratulations! On Saturday, Feb 27, Peter Wetzel competed in the ACC Fencing Championship Individual Men’s Epee competition and came within 3 points of being in the Finals - and taking Gold (since he had previously beaten the overall winner in earlier bouting!) However, that was not to be as he finished in Fourth Place - congratulations! Memphis Fencers alum and Boston College Fencing Team Captain Peter Wetzel (all left) - proudly wears the Gold Medal for First Place in Senior Men’s Epee after beating 83 other fencers at ‘The Big One’ - a Fall Invitational competition perennially hosted by Smith College in Northampton, MA on the first Saturday in November. 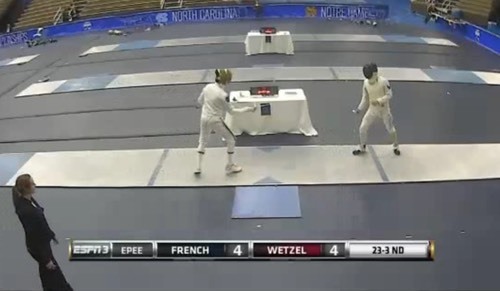 Memphis Fencers Club Member Alex Merino (L) in Finals! Goes on to win 15-11! Badgermille is a website for referees to practice making calls. 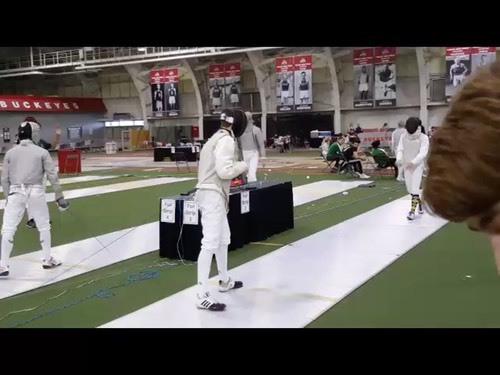 Users watch a video of a fencing action, make a call, then get to see how their call stacks up with everyone else. With feedback from FIE users, you get to compare your calls against the best in the business, immediately after making the call.